After returning from a mission into Sov territory, Judge Dredd finds himself at odds with fellow veterans of another past conflict – The Apocalypse War. 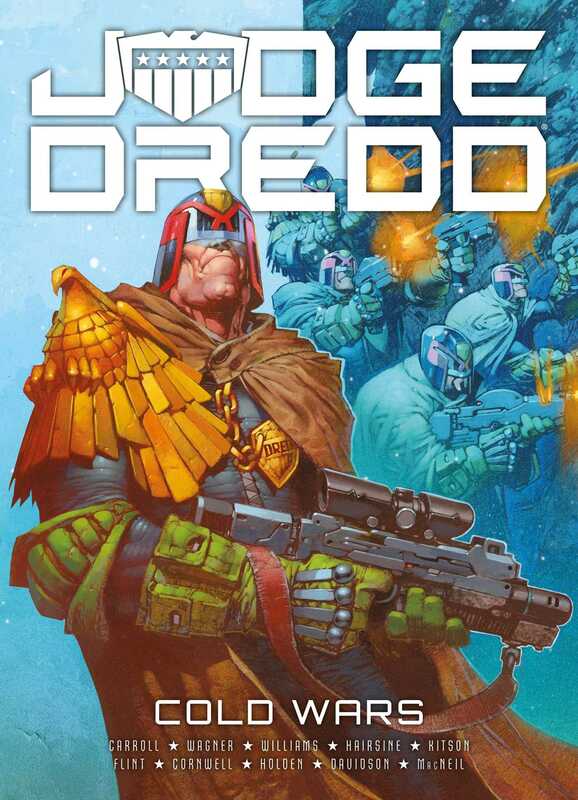 Under orders from the Justice Department, Dredd returns to the depths of Siberia where things start to go wrong… even his training and iron will might not be enough against the bitter cold, angry mutants and the echoes of past conflicts! Featuring stories from Michael Carroll, Rob Williams and John Wagner with stunning art from Trevor Hairsine, Dan Cornwell, Paul Davidson and Colin MacNeil.